It’s supposed to potentially reach 80 degrees in some areas of Montana this week, which means grill weather is here! So, think about this–deer eat apples, and people eat apples…so why not add some sweetness to your meat? In a microwave safe bowl, mix together the marinade ingredients. Microwave on high for 15 seconds to allow the cinnamon to dissolve. Put the steak into a sealable container and pour the marinade over it. Marinade for at least 8 hours. Grill the steak over a medium hot grill. This won’t take long, as venison cooks quickly. 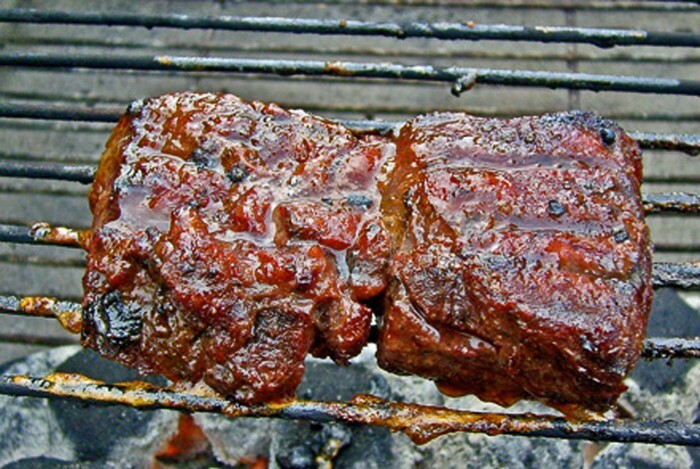 Note: To grill venison – Sear the steak on one side, then flip it and cook the steak without flipping it again. Venison is extremely lean, so it won’t take but maybe 3 to 5 minutes to be done. (Depending on how hot your grill is.) Please don’t over cook it. It should be nice and pink in the center!